Cities can be exciting, buzzing spaces. But they can also feel anonymous, soulless, and at times, even threatening. However, there is one feature can that have a big impact on the atmosphere of a city and how you relate to it. That feature is biophilia. The literal meaning of biophilia is a love for life and living things and stems from ancient Greek. It describes our inherent attraction to nature and intrinsic desire for contact with the natural world. Simply put, we have a need to be surrounded by nature in our daily lives. 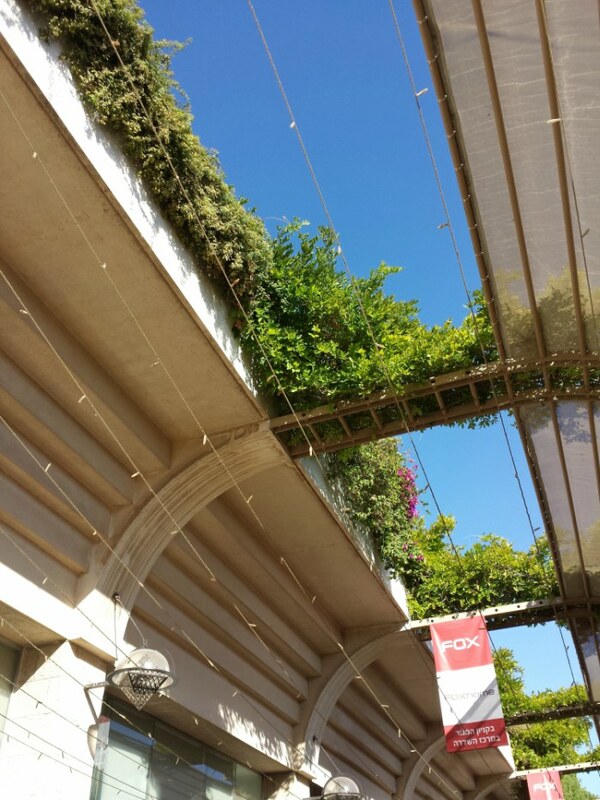 A city that has greenery feels completely different to one without. It feels friendlier, and more relaxed. The term biophilia was originally conceived by social psychologist Eric Fromm in 1964 and then popularised by biologist Edward Wilson in 1984 in his book of the same name. Like the word, the concept also isn’t an entirely new one. People have always been intuitively drawn to natural surroundings. Beaches, verdant forests, waterfalls, wide green open spaces: these are places we are instinctively attracted to and think of as being beautiful. The shift towards concentrated urban living really began with the advent of the industrial revolution over two hundred and fifty years ago. Ever since, the growth of sprawling cities has only increased. This in turn has led to us being more cut off from nature in our day to day lives. Replaced instead by harsh grey urban environments, brutalist concrete buildings and forbidding streets that make our hearts sink. But over the past twenty years years or so, there have been numerous studies into the impact of nature within our environments. They have proved conclusively that not only does nature make us feel good, but has important health benefits. It helps to reduce stress, increases our levels of happiness and gives us a greater sense of wellbeing. It has even been shown to help reduce crime levels within cities. 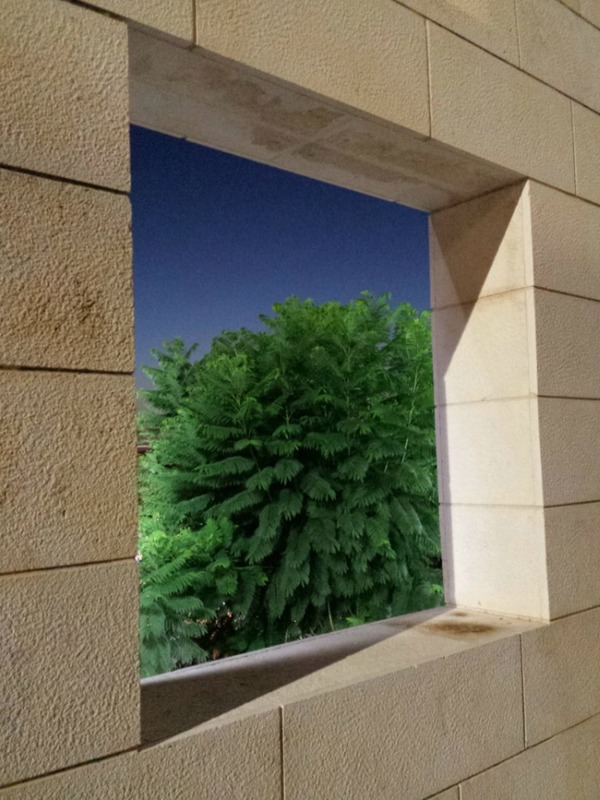 As a result, architects and designers have increasingly realised the importance of integrating biophilic design within our cities, neighbourhoods, workplaces and homes. And this is apparent in Israel too. 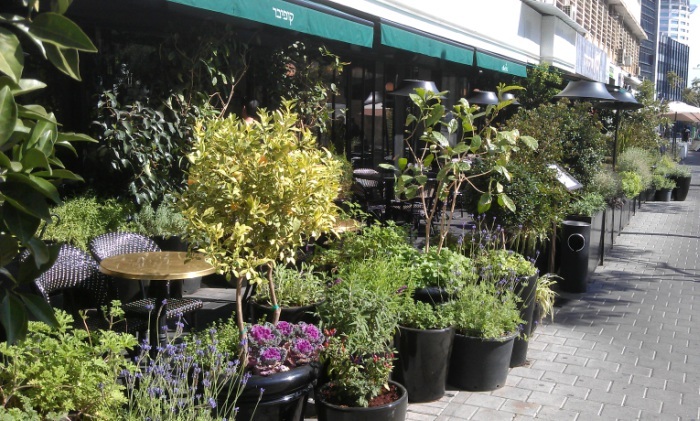 Biophilia has become an intrinsic part of the urban landscape in cities all over the country. Contributed to by the municipalities, as well as the people who live and work there. 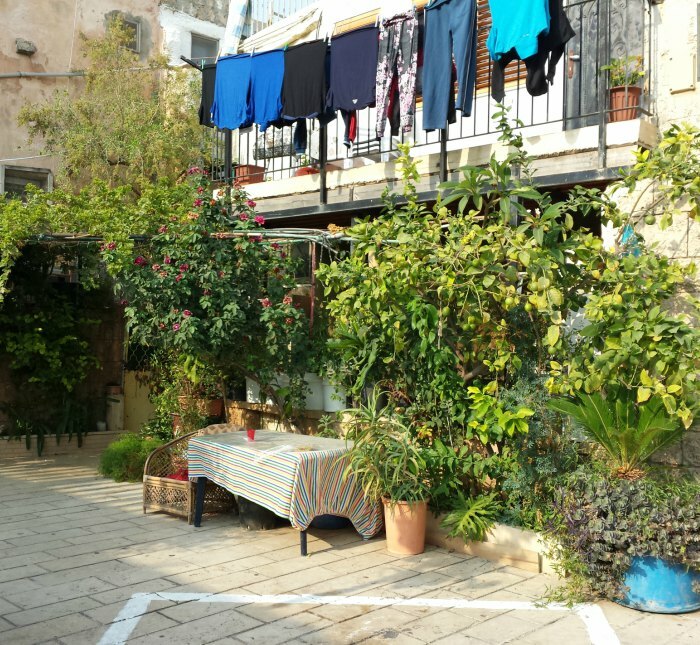 From plant covered homes in the old city of Akko, a vertical garden on a colonnade in Jerusalem, to a veritable urban jungle of plants outside a row of pavement lined cafes in Tel Aviv. 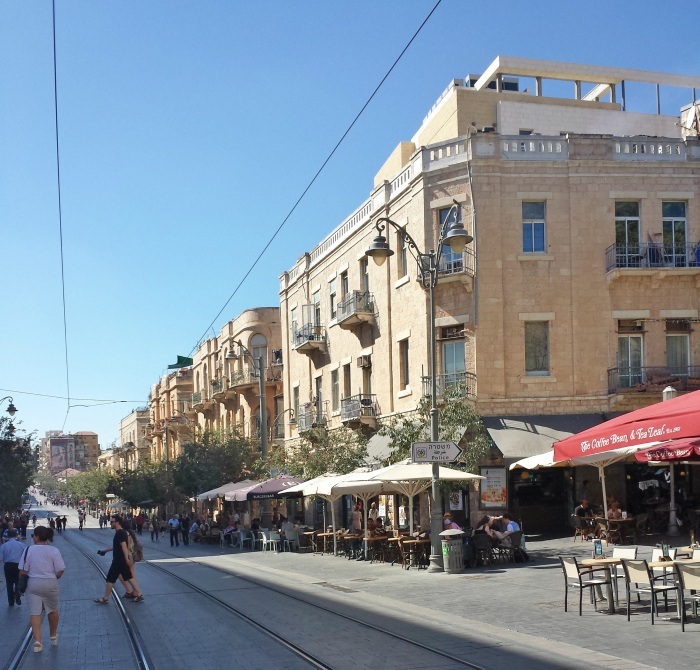 And the restored area of Sarona in Tel Aviv which has been transformed into thriving area full of boutique shops and cafes is an urban oasis in the centre of the city. 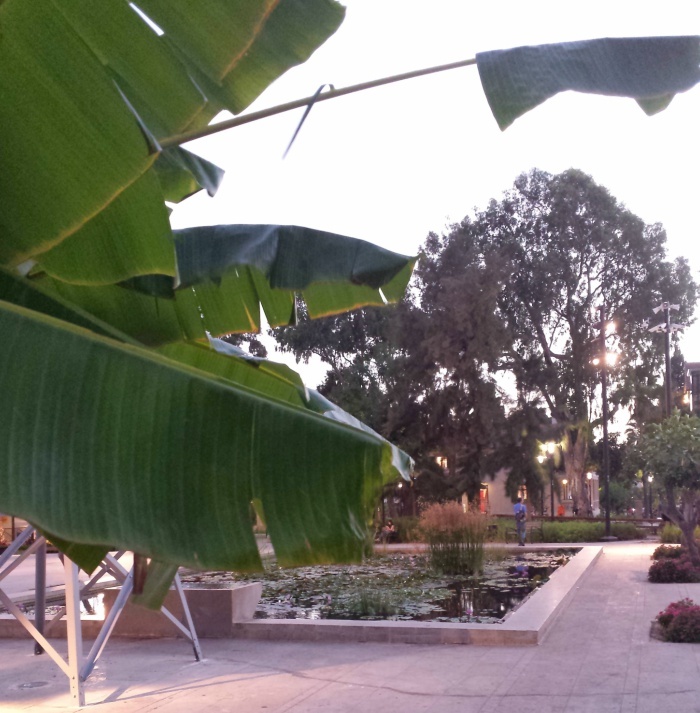 While in Modiin, elements of biophilia were built into the design of the city from the outset. 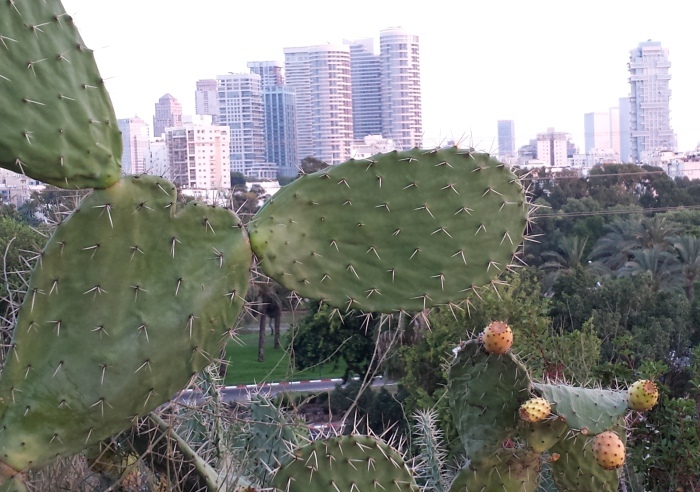 There are plentiful parks, and green open spaces delineate the different neighbourhoods. Even the roundabouts are covered with plants and trees for a more pleasant visual driving experience. 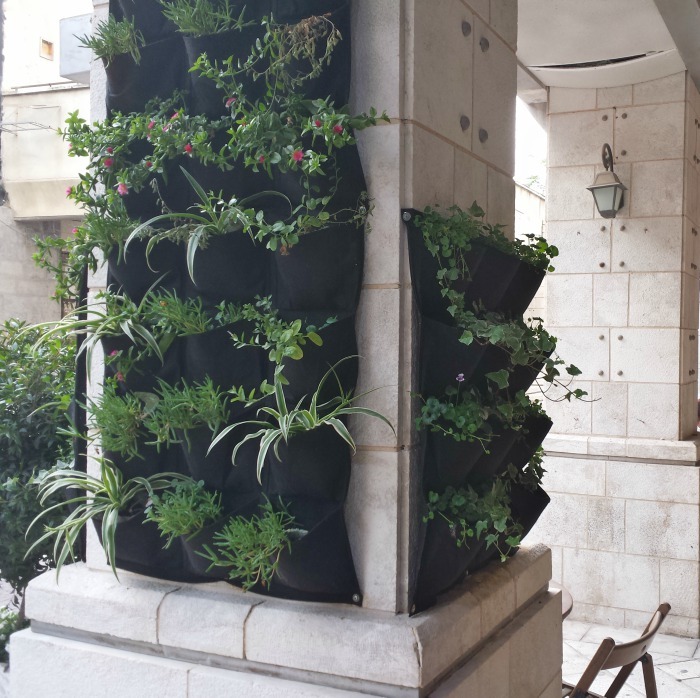 The addition of nature and plants is but one part of biophilic design. The principle consisits of six different elements and goes much further. Another aspect is place-based relationships. This includes geographic location to a place, indigenous materials and landscape features that define building form. Nowhere is this more evident that in Jerusalem. 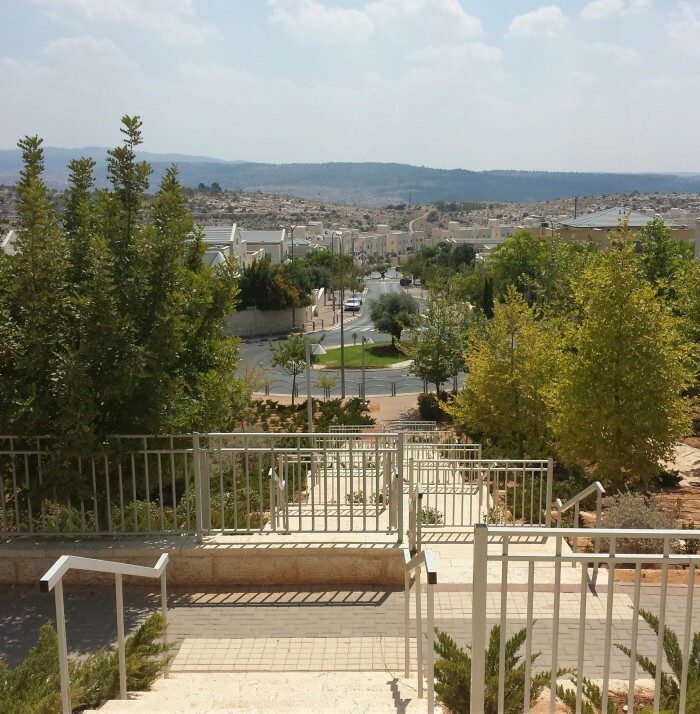 The municipal laws in the city require all buildings to be faced with Jerusalem stone – the limestone and dolomite stones which are local to the area. 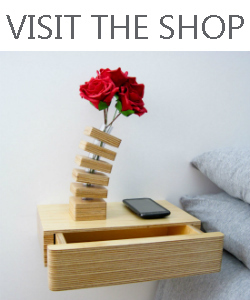 It connects even the man-made buildings with their surrounding natural environment, creating a real sense of place. 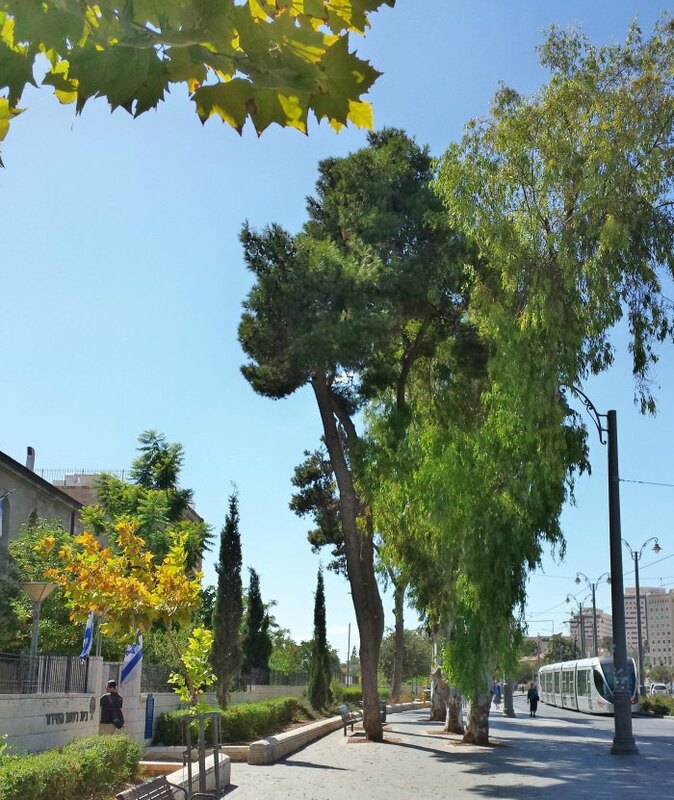 But to find green spaces, you don’t have to look any further than the Jerusalem municipality itself. 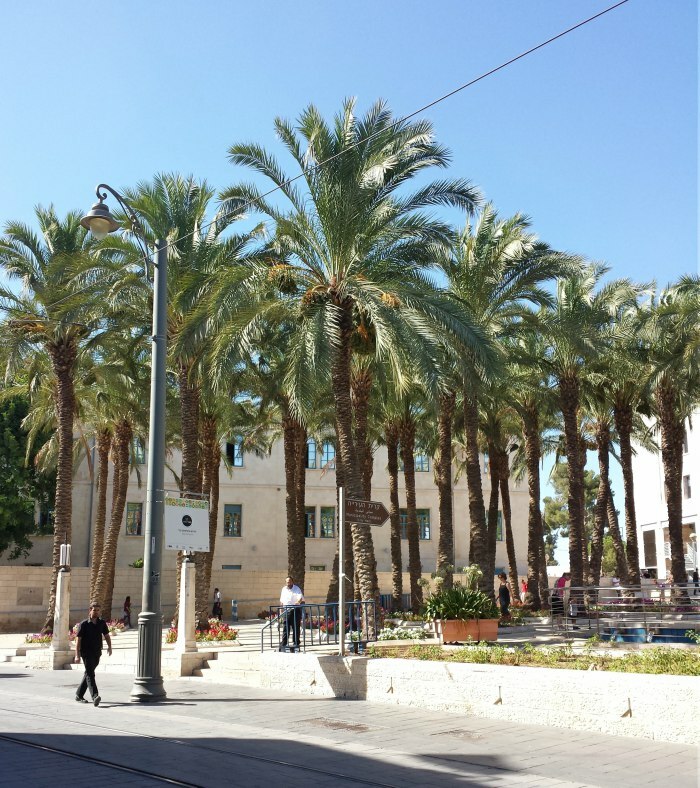 Kikar Safra, at the entrance to city hall is a grand and impressive square lined with rows of lush palm trees. 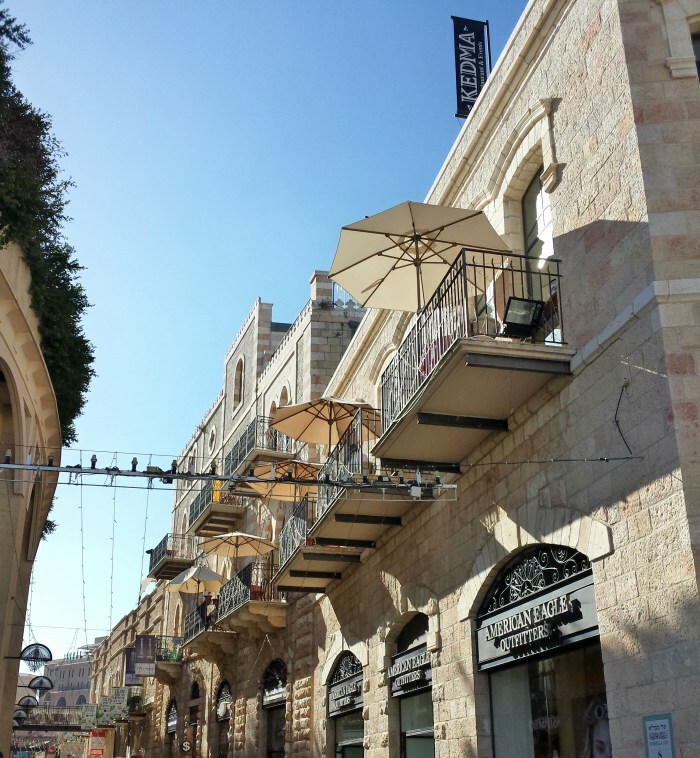 Or take a walk down Mamilla, the stylish pedestrian shopping avenue and look up the the partial shade above to see an abundant array of plants cascading through. 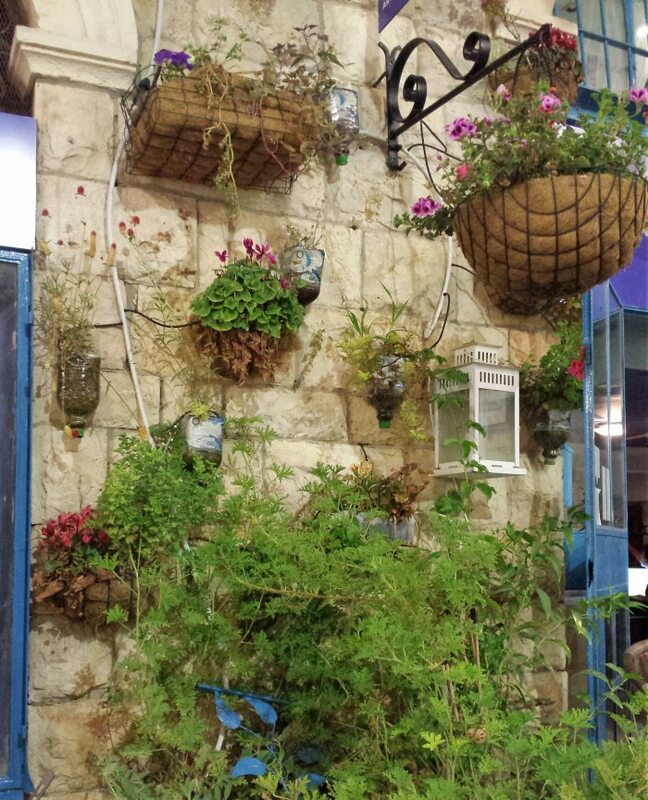 All around Jerusalem you’ll find touches of nature adorning the streets and urban environment. It would appear that the municipalities, workers and residents in cities all over Israel would agree with that statement. Great article Sarah and wonderful photographs as well.